Home > ティータイム > 私も（be動詞編） – So am I. 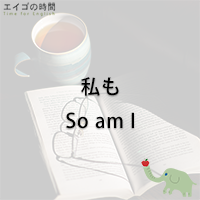 私も（be動詞編） – So am I. Spring is here. So is the pollen. My nose itches. So do my eyes.